Agios Georgios is the only Power Plant located close to the capital of Greece, Athens. 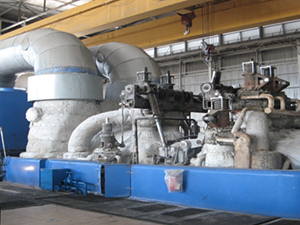 It is an old thermal plant with an installed base of 2 x 250MW LMZ steam turbine unit. After an upgrade of the boiler from diesel fuel to Natural Gas, the Public Power Corporation (PPC) hoped to be able to use this plant to contribute and manage the power fluctuation of Athens. However, the old unit control systems acted as an inhibiting factor since its inherent limited control possibilities. The response and the accuracy of the 25 year old hydraulic “liquid flow speed” control system often resulted in unit fluctuation. In addition, steam pressure fluctuation significantly affected the power output. Main cause for this was that there was no possibility to unify the turbine control system with the boiler system, forcing the operator to have to control the turbine through the boiler process, with insufficient results. With most of the power production situated in the north, the local power plant as intended to play a key role in the frequency and voltage regulation. As such, load accuracy, load stability and loading speed was of importance. For this reason the PPC tendered a project aiming at the installation of a new technology control, protection & monitoring system. Integration with the boiler system so as to give the possibility to control the boiler parameters based on the decider power output given to the units. Retention of the old hydraulic control system as back up with a failover option during operation. MAS deposited the only solution which presented a realistic technical scenario to retain in operation both the old and new control systems. In addition it was the only solution with proven results in similar machines and with the capability to integrate with the existing Boiler DCS. Leveraging on its 45 years of specialized know-how, MAS engineers designed a reliable and safe solution at a fraction of the cost of competitors, including OEMs. The new system was straight-forward to install as it required minimal mechanical adaptations. Additionally, the system was compliant with all current operational Natural Gas safety standards. 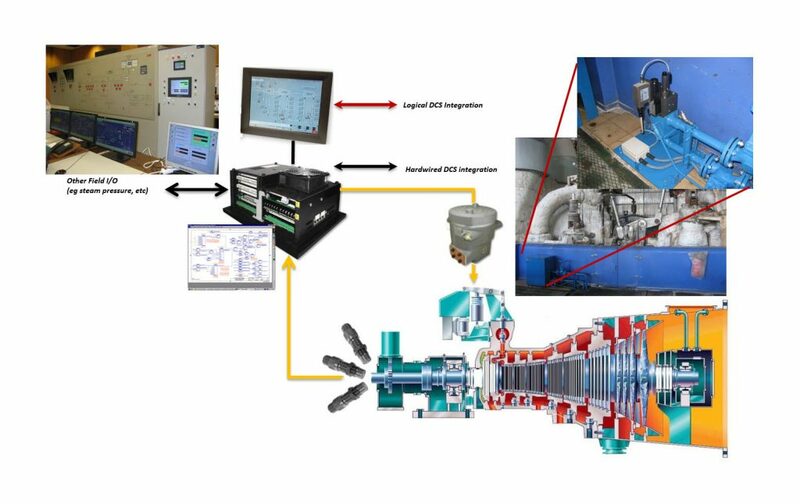 The installed system resulted in an overall solution that allowed the on-line failover of the Primary machine of the new electronic control system to the Secondary old hydraulic one, which was running isolated in parallel back-up mode. The advanced HMI system provided the required backwards integration with the boiler, feeding operational requirements so as to make sure the whole process is well-tuned with no excess or lack of steam pressure. MAS executed the project with plant down time of less than 14 days, since all systems had been validated during Vigorous FAT scenarios. Mechanical adaptations were also kept to a minimal and included the installation of a new parallel hydraulic control system to the existing actuators and several speed probes to ensure IEC61508 SIL-3 & API670 overspeed protection compliance. The new control system provided a 35% increase in speed control and an impressive load accuracy. Integrated control systems informed the boiler of any change in steam capacity needs. Specialized algorithms ensured that the machines operated in harmony with the boiler keeping calculated steam reserves to be able to respond in sudden power fluctuations. A state of the art HMI system provided all the information and the means to operate the turbines automatically. Finally and most importantly, due to MAS’ design expertise, the old hydraulic control system remained in operation providing a backup system both for over-speed protection and as a secondary control system in case the primary malfunctioned.